A 5kW (kilowatt) solar system is the most popular solar system that is installed in many households in the USA. It is also considered as the average size of a PV system found in many homes in the USA that have already gone solar. How much does a 5kW solar system cost? According to the EnergySage, the average cost of a 5,000 watts in the USA is about $15,700 based on the average cost of going solar in the USA which was $3.14 per watt as of January, 2018. Applying the 30% Federal Investment Tax Credit (ITC) and not considering state rebates and other incentives, the total cost of a 5kW solar system would be $10,990 according to the EnergySage. However, these figures are just estimates based on average USA solar costs, but may be lower or higher depending on the type of solar panels you intend to install and in which state you live in. How many solar panels are in a 5kW solar system? Depending on the size of the roof space, the number of solar panels needed in a 5kW will vary. Also, because solar panels come with different wattage size and efficiency this affects the number of solar panels needed in such a PV system. Hence, how many solar panels you need for a 5kW will vary depending on your specific roof parameters and the type of solar panels you end up installing. For a typical 5kW, if you decide to install 300 watt solar panels, this could mean you will end up with about 20 solar panels on your rooftop, but this is just an estimate as solar panel efficiency also affects the number of solar panels. To learn more about solar panel efficiency and how it affects the number of solar panels, please check this article. How much power will a 5kW solar system produce? This will also depend on the location and whether your PV system is unshaded or not. However, for unshaded PV system, a 5kW solar system would produce between 14.5 and 23 kWh per day on average depending on the location. According to the EnergySage solar figures, solar electricity output for some of the top U.S. cities for a 5 kW solar panel systems range between 14.9 kWh (Seattle, Washington) to about 26.8 kWh per day (Las Vegas, Nevada). This clearly tells us that the amount of solar power generated varies with location and one of the most convenient ways to determine how much solar energy you can generate from a 5kW solar system is by using a solar energy calculator like the EnergySage Calculator that gives you specific data for your rooftop. Where to do you get good deals for a 5kW Solar System? Once you have answered the above questions and you have determined whether such a solar PV system is worth it to install on your house, it is a great idea to compare and contrast market deals available online. One of the great resource that we have nowadays to help you compare solar pricing for a 5kW solar system is a solar quote aggregator like the EnergySage. 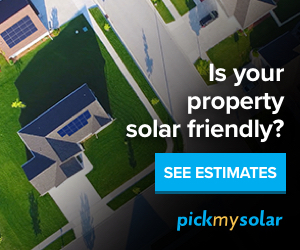 EnergySage is an online solar marketplace that has a wide network of solar installers in the country and depending on your location, it provides multiple solar quotes to help you find the best deal for your PV system. According to a recent report by the U.S. Department of Energy’s National Renewable Energy Laboratory (NREL), it shows that consumers that use solar quotes aggregators like the EnergySage end up paying much less for their solar by about 0.24 per watt because solar installers bid lower due to increased solar installer competition. If you interested in a do it yourself (DIY) 5kW PV system, you can check out this 5200-Watt (5kW) Solar Panel Ground Mount Installation Kit from GoGreenSolar. This 5KW system based on the average electricity consumption of an average U.S. household of about 920kWh per month, the DIY PV system could provide 40-90% of your usage and reduce your bill considerably. A 5000 watts (W) or 5kW solar system is great for a household with about 920 kWh/month which according to GoGreenSolar may require about 400 square feet of space and produce an estimated 350 to 850 kilowatt hours (kWh) of alternating current (AC) power per month assuming 5 sun hours per day with the solar PV array facing South. To get such an output you require unobstructed sunshine and your solar array should be facing south. Since, this is a DIY PV system, please consult GoGreenSolar to adhere to all licensing and regulations for installing such a PV system. Learn more here about this 5200-Watt (5kW) Solar Panel Ground Mount Installation Kit from GoGreenSolar.